All jewelry is handmade from treasures of the South African Earth. Still the prices are affordable but don’t expect the low prices as those of so called (mass produced) ‘custom jewellery’. A ‘fast moving’ selection of my collection is online available via Faithful-to-Nature This site shows the retail prices of the pieces in their selection. 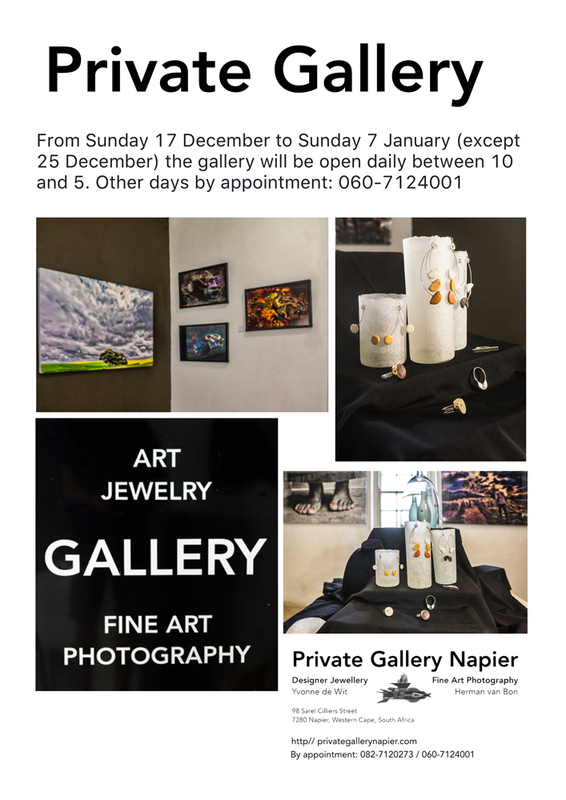 For direct online sales: see the online shop of Private Gallery in Napier. For other enquiries please use the contact form below. Don’t forget to mention your name, address and other contact details!